Francisco Castillo Trigueros (b. 1983) is a composer of contemporary chamber, orchestral and electronic music from Mexico City. 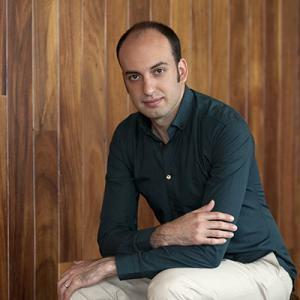 He has received numerous distinctions such as the Jury 1st prize at the Edes Prize, NEM Young Composers International Forum, the BMI Student Composer Award, honorable mentions in the 2010 and 2011 Morton Gould Young Composer Awards, and four nominations for the Gaudeamus Prize in The Netherlands. Castillo Trigueros recently obtained a Ph.D at the University of Chicago, where he served as Computer Music Studio Manager for three years.